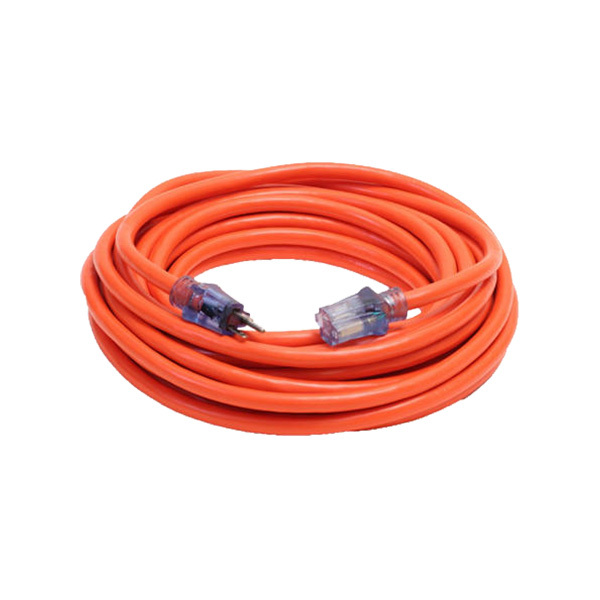 With a flexible and rugged build, this high visibility Century Pro Style 10/3 extension cord (600V) is ideal for moving projects inside or outside at the workshop or job site. This extension cord features soft-drawn, bunch-stranded 100% copper conductors for maximum flexibility and amperage transmission, and has insulating and jacketing compounds for reliable use in below freezing temperatures. The clear connector has a built-in neon light indicating that there is power in the receptacle, cord and outlet circuit.